Newly-weds have their photos taken on the steps of the Parliamentary Library, tourists click snapshots of Premier Richard Seddon pointing to the sky, and the Beehive – a structure instantly recognised by all New Zealanders – squats alongside the imposing grey facade of Parliament House. The buildings have been modified, destroyed by fire, half-built and restored; people love them or hate them. 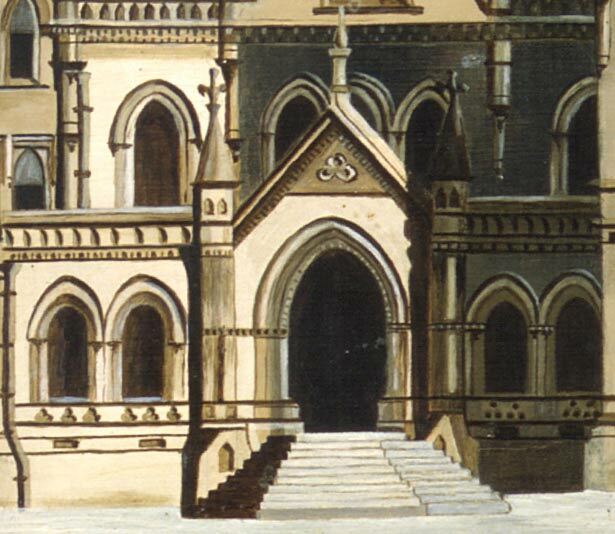 Whether located in Auckland, as they were between 1854 and 1864, or Wellington, the parliamentary places and spaces have formed an important part of New Zealand's history. We have 10 biographies, 7 articles, related to Parliament Buildings.